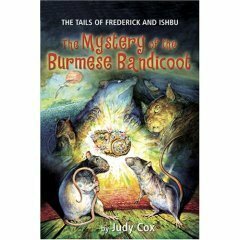 The Mystery of the Burmese Bandicoot--now available in paperback! 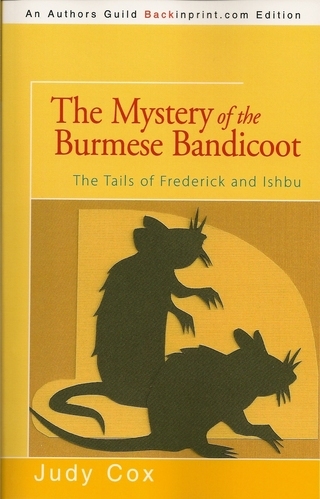 Book One in The Tails of Frederick and Ishbu. Now available in a trade paperback edition with cover art by the author. "Suddenly the water sluiced through the pipe with the speed of a truck, as if a hundred toilets had flushed at once, or five thousand washing machines had finished the rinse cycle, or six thousand seven hundred bathers had pulled out the plugs in their tubs and let the water drain. Frederick spun in a whirlpool. Bubbles frothed around his head. He heard a sucking noise, and then he was rushed down the sewer, farther and farther from Wilberforce Harrison Elementary School. Farther from Miss Dove and her fifth-grade class.